Torquay United midfielder Eunan O'Kane says his decision to play for the Republic of Ireland has nothing to do with religion. O'Kane, who joined Torquay from Coleraine, has played for his native Northern Ireland throughout his career. But the 21-year-old says the switch was down to football reasons, not that he is from the Catholic community. "They obviously go straight to religion but I can't stress enough that that's got nothing to do with it," he said. "I just felt my opportunity wasn't going to come playing for Northern Ireland and the Republic have come and asked me to come and join them, so it's kind of a no-brainer to take the decision to the country that want you," O'Kane told BBC Radio Devon. "I just want to play football and if the Republic are going to give me that chance then I'm prepared to take it." 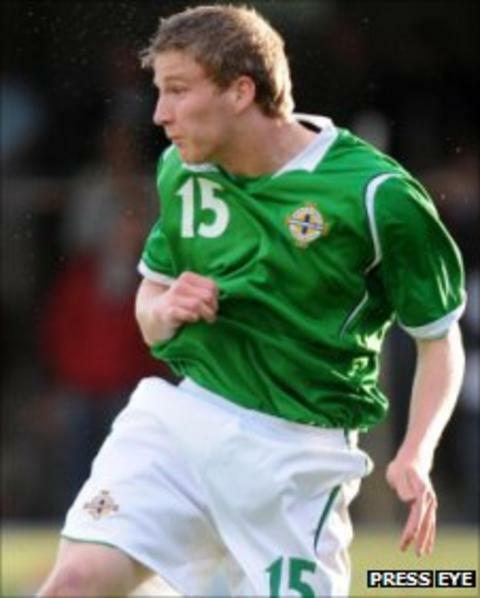 O'Kane, who has won four caps for Northern Ireland Under-21s, would not disclose exactly what discussions he had had with the Irish FA about his decision. "There's a lot of things that go on that not a lot of people know about," he added. "I'm not going to come out and say what's really happened behind closed doors because that's nothing to do with anyone else." O'Kane is the latest in a list of players who have switched to the Republic. He continued: "If people are going to go down that line and say that it's a religious thing for me then I'm not worried. "Anybody that knows me or has grown up with me knows that that's got nothing to do with it."